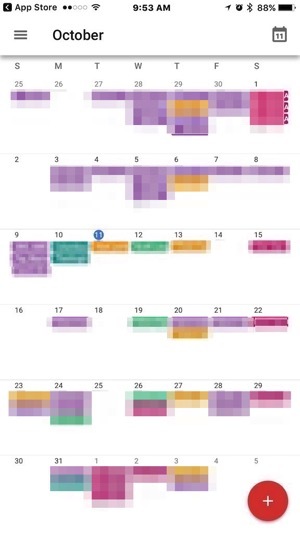 Google Calendar for iPhone launched last March, but when it did, the app lacked a proper bird’s eye month view. That changes today, as the app has been updated with month view, while in landscape, you’ll now get week views. Unlike the month view in Readdle’s excellent Calendars 5 for iOS (which we prefer), you cannot drag events to new days to change them, but must tap and edit individual events. Also new in this update are alternative calendars ( such as Lunar, Islamic or Hindu), plus support for Spotlight Search, which means you’ll be able to search iOS for your events, Reminders and Goals. For users of G Suite (formerly Google Apps), you can now “Find a time and book a room”, as Google Calendar will now find the most appropriate meeting times and also rooms. Back in April, Google Calendar for iPhone gained a new Goals feature, to help users automatically find the best times in the schedule to “Exercise”, “Build a Skill” or just get “Me Time”. 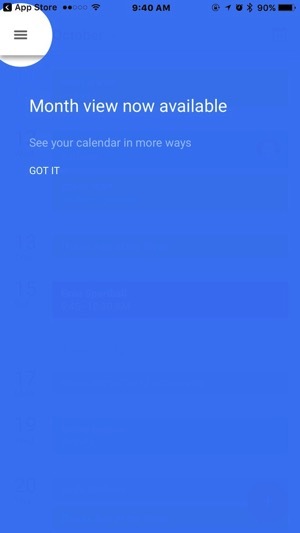 Click here to download Google Calendar for iPhone in the App Store. Let us know what you think of the new month view!